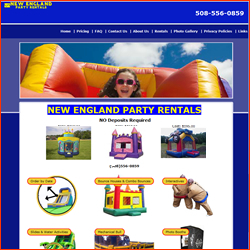 Jolly Jumpers rents inflatables such as moonwalks, bounce houses, combo units, theme party rentals, and more. We have items such as Dunk Tank, Chocolate Fountains, Canopies and Tents, Tables and Chairs etc. When you rent any inflatable concessions are included for just a small fee more. Call or contact us through our website today!